Please note that Westcliff is located on the cliffside and there are numerous steep steps down from the car park to the entrance. Whilst there is pedestrian access to the front of the property via a path on a mild gradient, we would stress that, due to the cliffside location of Westcliff and the number of steps required to access the property, Westcliff is not suitable for people in wheelchairs. Guests with other significant disabilities and those with children requiring pushchairs should also consider the access issues before booking. If in doubt, please contact us directly to discuss. If you would like any further information beyond that provided, please contact us using the email contact facility or by telephone at the numbers provided in the Contact Us section. Plaidy is a superb one bedroomed ground floor apartment with a private patio area for you to sit and enjoy the completely uninterrupted coastal and sea views of Whitsand Bay all the way to Rame Head. An entrance hallway leads to the open plan lounge/dining/kitchen.. From your living area, you can look across to Looe beach and beyond. 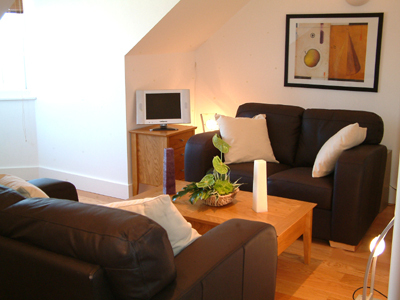 Millendreath is a superb two bedroomed ground floor apartment with private patio areas leading off both the Lounge and Master Bedroom, ideal for enjoying the breathtaking views – Looe Beach, the town of Looe, the Looe River and 15 miles of coastline all the way to Rame Head. Portwrinkle - 'The Little Apartment With The Big View'. A beautiful one bedroomed first floor apartment with superb coastal and sea views from both the living area and bedroom and great value. An entrance hallway leads off to the open plan lounge/dining/kitchen, the bedroom and separate shower room. Seaton is a superb one bedroom first floor apartment with fantastic panoramic views from the living area, a spacious bedroom, dressing room and separate bathroom. An entrance hallway leads to the open plan lounge/dining/kitchen which also has a double sofa bed making the apartment suitable for 2 couples or couples with children. 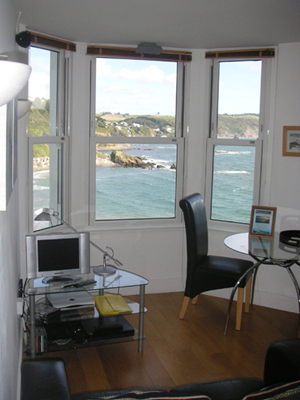 From your living area, you can look down the Looe River or across to Rame Head, 360° of spectacular views. Downderry is a superb two bedroomed Duplex apartment on the western wing of Westcliff with uninterrupted views from the living area and master bedroom all the way to Rame Head. An entrance hallway from the first floor landing leads to bedroom suite of two bedrooms and a modern shower room. Stairs lead up to the upper floor with open plan lounge/dining/kitchen area. 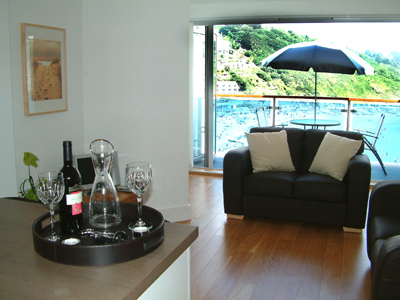 Whitsand is a superb two bedroom luxury penthouse apartment with appealing dormer windows offering stunning 180o views from both the master bedroom and lounge of the Looe Estuary and the south east coastline. 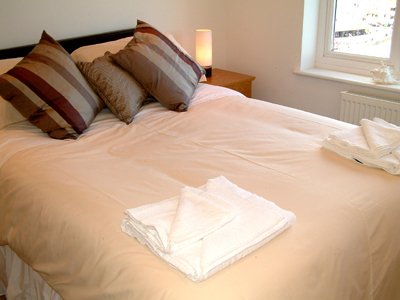 Both the double and twin bedrooms have their own en-suite bathroom or shower room. 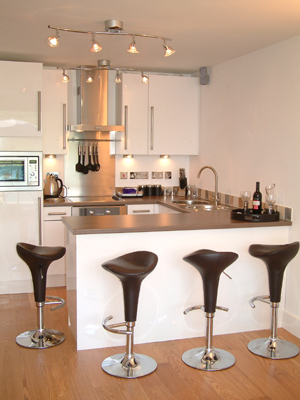 Whitsand has a separate kitchen area and a lounge/diner. Ideal for both long and short breaks. 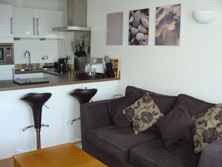 Hannafore is a superb self-contained one bed roomed apartment to the rear of the main Westcliff building. Hannafore has a spacious bedroom with en-suite walk-in shower, a lovely living area with twin patio doors and Juliet balconies and a fully equipped luxury kitchen. 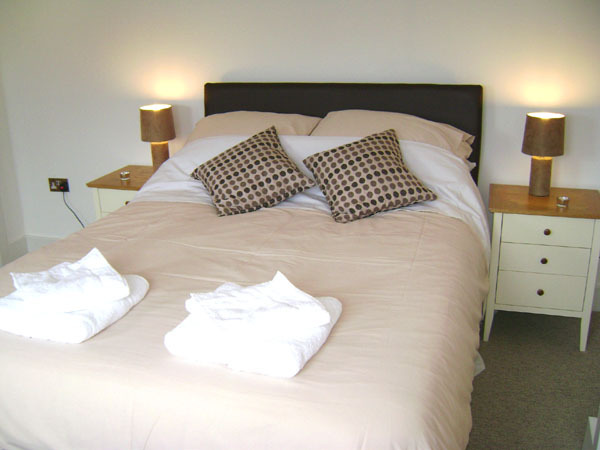 The three seater high quality sofa bed in the living room enables a family or two couples to make the most of the accommodation and there is a separate guest toilet. The views, whilst partially obstructed, are still extremely pleasant.